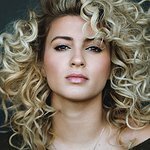 Tori Kelly first rose to attention when her YouTube cover of Frank Ocean’s “Thinkin’ Bout You,” went viral, racking up over 24 million views. Kelly made her Billboard chart debut in 2012 with her self-released album Handmade Songs By Tori Kelly. After seeing her videos on YouTube, Scooter Braun became her manager and introduced her to Capitol Records. Kelly’s lead single, “Nobody Love” off her debut album Unbreakable Smile, debuted at number two on the Billboard 200. Kelly was nominated for Best New Artist at the 58th GRAMMY Awards. Google trends for "Tori Kelly"
We don't have any videos related to Tori Kelly.